4-75: Now you fucked up. It’s the beginning of the month! So that means an extra page! 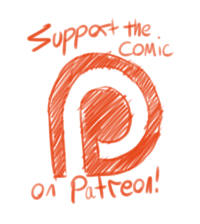 By the way the Patreon is at $170 something as of this writing and if it hits $200 before the end of June there will be two extra updates in July. Backers get to see pages early and also get other cool stuff. Oh Greg. I’ll remember you, you spooky dork who nobody else will remember. Gabry, casually tearing out the heart of the monster who hurt your man. I knew there was a reason I loved you. I freaking love the colors on this page. 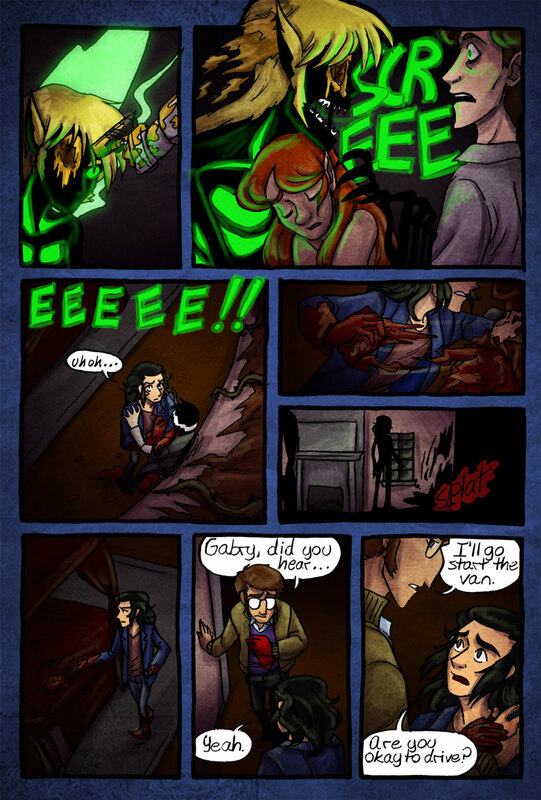 Also Gabry avenging his man woot woot. I still love how vampires are basically just coagulated blood surrounding a heart like the world’s grossest jello mould. enjoy being permadead, ya do-nothing vampie loser. i really hope Nicole wasn’t wearing anything she really liked. then again, i guess she might not get too attached to clothes when she can incinerate them in a panic. It’s cool that the vampire coagulated blood is a darker, murkier shade than the brighter red of a live human. Panel 2: It was at this moment, he knew: he f***ed up.